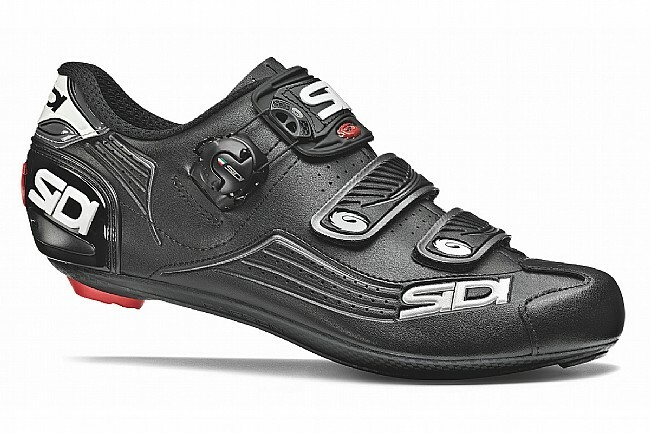 New for 2018, the SIDI Alba Road Shoe brings the SIDI look, feel, and performance down to a new, more attainable price point. Ideally suited to training, touring, or even high-intensity competition this shoe features a lightweight, durable Politex upper, the Tecno-3 retention system, and the same Millennium 4 Carbon sole that's featured in their top-of-the-line shoes. Redefining "entry-level", the Alba will meet you where you're at – and take you far beyond that. Constructed with SIDI's new Politex material, this durable tear-resistant fabric is constructed from several overlapping layers, each designed with different physical-mechanical properties. This compacted PVC is then coupled to two fabrics – one knitted fabric, the other felt – that is then film dyed for a long-lasting color. Offering strong resistance to ripping, slicing, stretching or fading, the Alba is sure to be kicking around for season after season. 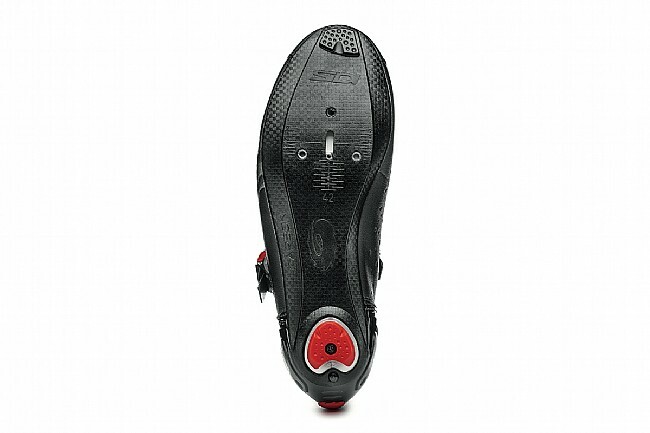 Thankfully, SIDI outfitted these shoes with their adjustable, replaceable Tecno-3 retention system, offering micro-adjustable comfort via a dial-operated cable system. Down below, SIDI's new carbon-injected nylon Millennium 4 carbon composite sole provides more rigidity than a standard nylon sole. The Millennium 4 is also more durable, and features an anti-slip toe insert and replaceable polyurethane heel pad, improving walkability and overall longevity. 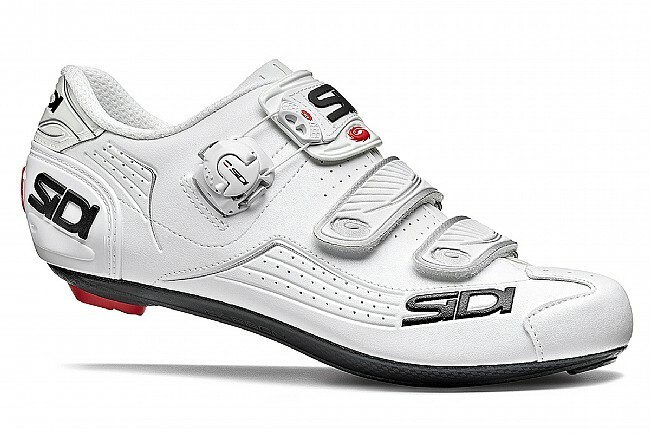 The SIDI Alba Road Shoes are compatible with 3-bolt road cleats and pedals, and utilize Look Memory Eyelets for easy cleat alignment and replacement.